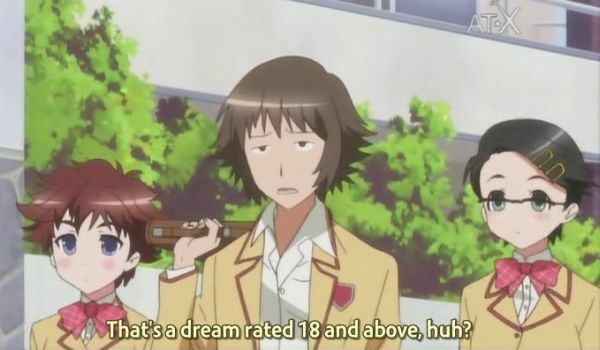 Indeed it is a dream rated 18 and above, that is why I don’t write about it in detail. This morning again I woke up from a hellish dream. In my dream, I was a woman on another planet, sometime in the age of space travel. Â I was a kind of ninja warrior type, and at the time I woke up I was torturing a father to death in front of his daughter whom he had abused. The emotional intensity of the dream was not as high as the real thing would have been, but it was definitely not a good feeling. Â Despite an hour of delta wave entrainment, my mind remained restless this morning. I know real life is not quite as simple as your nearby Southern Baptist may claim, but then again neither are the Southern Baptists. Â Lots of them have their own secrets. Â But enough about that, the fact is that if you need to keep secrets more sinister than a surprise birthday party, it’s self-reflection time! Now back to writing. There is a lot of writing in the world, and very little of it is great literature. Â Most of it is simply entertainment, and I won’t judge that, especially since my attempts at fiction have mostly been like that. Â When you write within certain genres, it is like a contract between you and the reader, that you will sell them cheap entertainment and that’s it. Â You don’t go into McDonalds and expect high cuisine, much less a communion wafer and consecrated wine. Â Conversely, you don’t expect junk food in a five-star restaurant, much less in a cathedral. Â These distinctions also exist in literature, but they are sometimes less clear. Great works of literature (and other arts) are made by great people, but sometimes also by crazy people. They break apart and the great work of art claws its way out. But most crazy people don’t have such great works within, just more crazy. So that is not a recommended path! Â Greatness is always a good idea, regardless of whether you will then go on to create great writing. Anyway, unless you are doing the equivalent of a literary hot dog stand, there is a certain responsibility in writing. Â You can write what you want, but if you influence other people, you should expect to be somewhat accountable. Sure, they are free to do with what they read as they want. Â Unless you have pretended to be some kind of spiritual guide, you cannot really take responsibility for everything that happens to people who read you. But it may be wise to reflect on the possibility that your words may outlive you, and affect people for a long time to come. Â What would happen in that case? Gearing up for JulNoWriMo, I am also asking myself this. Will my writing lead others into temptation? Â Will someone wake up, many years from now, and feel dirty or unhappy because they relive in their dreams something I wrote? I hope not, but I must admit that my fiction tends to contain elements of a mildly carnal nature. Â This is after all the human condition. Â And humans can be very entertaining, even fictional ones. Â But at least there will be no killing in this year’s book, and almost certainly no actual procreative acts. Although there will likely be many other creative acts, Light willing. This entry was posted in autobiography, slice of life, writing by itlandm. Bookmark the permalink.